Doom of Molech focuses on the battle for the Knight World of Molech during the Horus Heresy. A key conflict, this saw the entirety of House Devine betray their oaths and turn to the Warmaster’s side, leading to a massacre of Loyalist forces on the embattled world. It was also the site of some of the most vicious Titan and Knight fighting in the entire Heresy. With this new expansion, you’ll be able to recreate these battles using six new narrative missions that let you fight key moments from the war. 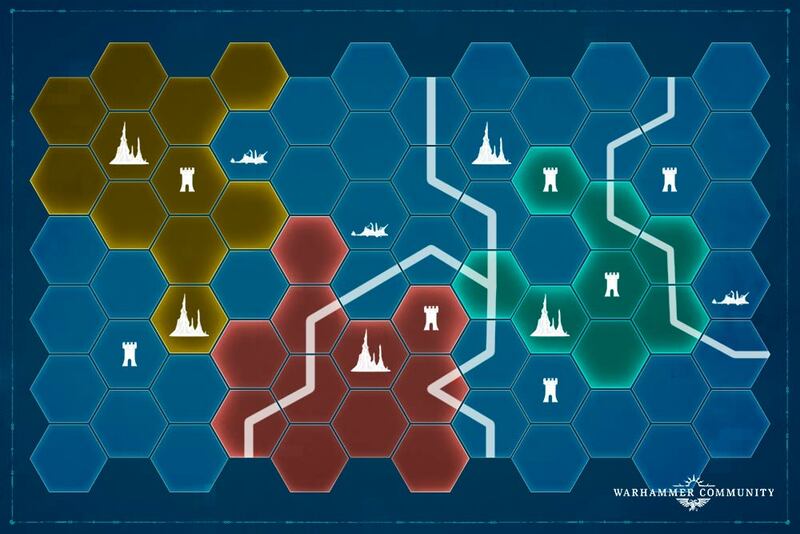 There’s also a new matched play mission that pits your forces against the mighty beasts that roam the world, for a very different kind of challenge. 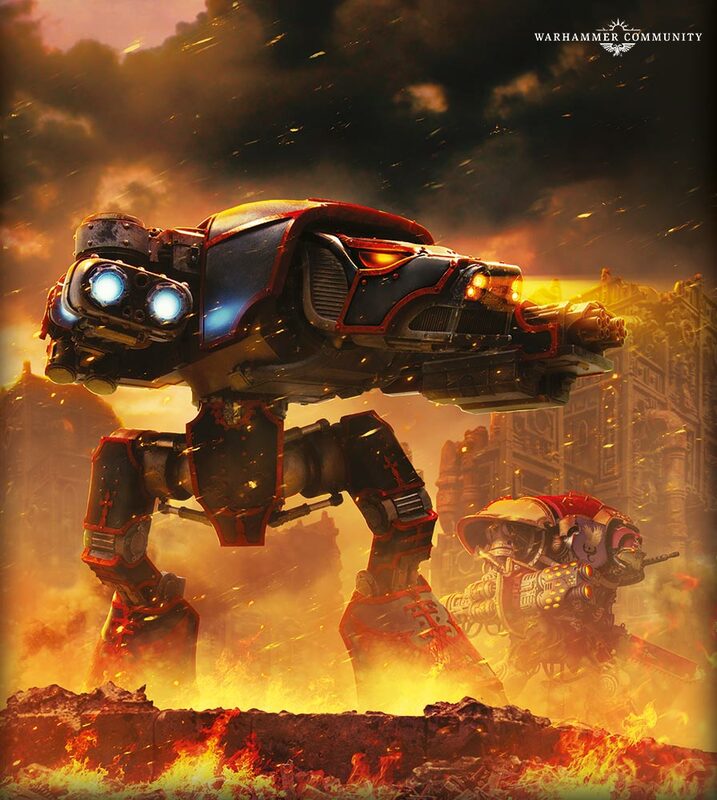 New battlefield conditions and Stratagems also give a host of new options for every Adeptus Titanicus player. 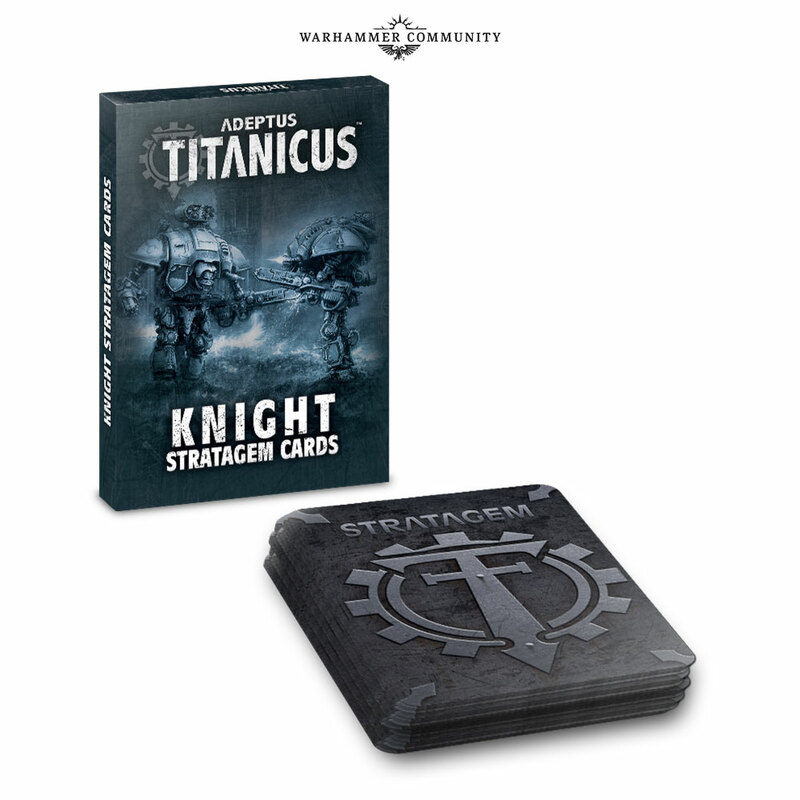 Knights are very much the focus, with a plethora of rules for using entire armies from the Knight Households in open, narrative and matched play, along with comprehensive additions to the Adeptus Titanicus core rules to make using full Knightly armies easier. 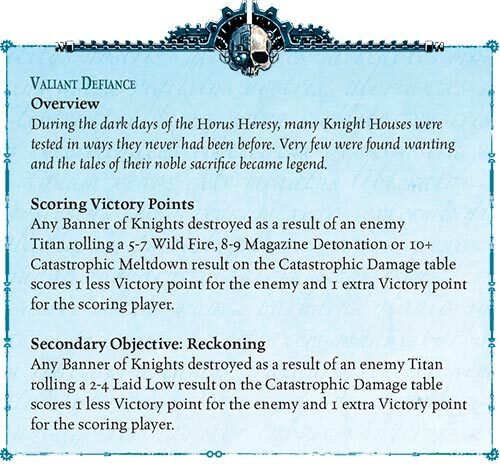 These include new rules for issuing Orders to Knight Banners, ways to activate multiple Banners at once, expanded rules for shooting with and at Knights, and much more. In addition, there are new options for the leaders of a Knight Household, including Knightly Qualities to personalise them. You can also add Freeblades to your force, as well as choose from a range of new Stratagems and Battlefield Assets designed to complement the Knight Households. 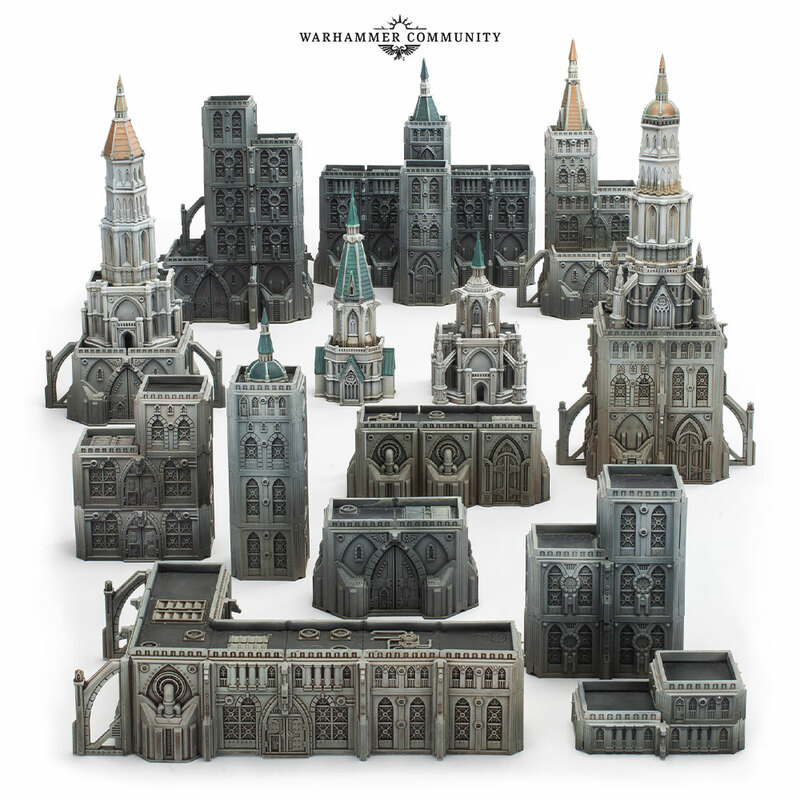 A collection of Household-specific mission objectives for matched play games complete the rules for Knight armies, allowing you to take on missions suitable to your nimbler – albeit more fragile – war machines. 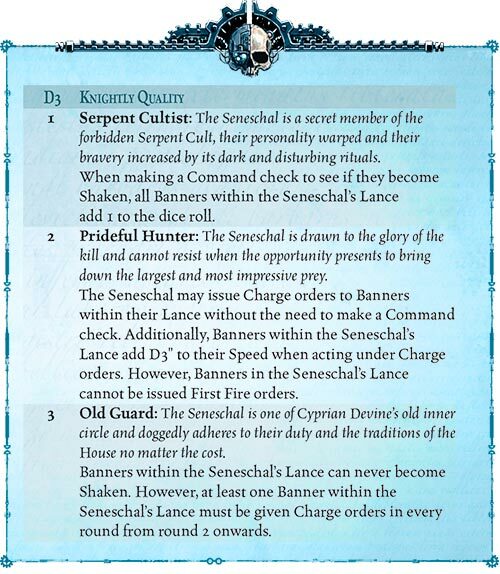 To give your Knights more identity on the battlefield, seven sets of Household rules provide unique Knightly Qualities for the Houses of Molech. These can be used to further personalise the commanders of your Knight Household armies, each providing new tactical options and different ways to play with your Knights. 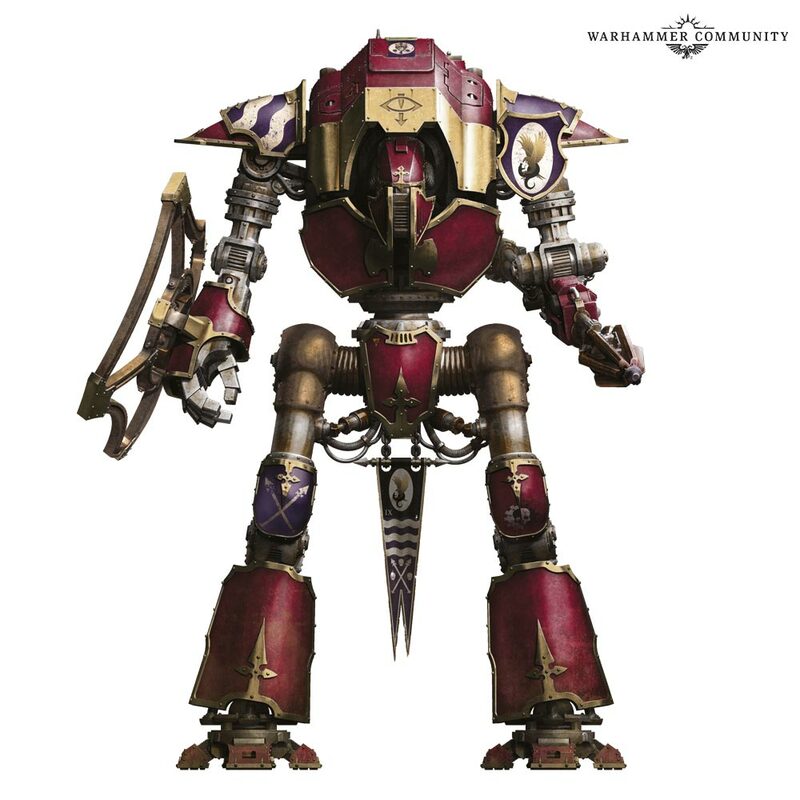 For those who prefer their Titans to Knights, there are rules for four new Legions – Crucius, Fortidus, Vulcanum and Interfector – as well as a pair of new maniples that you can use to organise your battlegroups. We’ll be bringing you more previews of Doom of Molech soon – and you can get a closer look on Warhammer TV this week. Keep an eye on the schedule for more information. Il n'y a, à ce jour, que deux modèles de tête de Reaver, un pour chacun des modèles sortis (les têtes se trouvent sur la grappe d'arme). Sur la grappe du reaver du bas il y a plusieurs modèles de têtes, ou du moins de plaques "faciales", si tu observes bien il y a si je me rappelle bien 3 options différentes, mais seule une est toujours montrée. En effet, 3 plaques. Le seul visuel possible sur l'arrière de la boîte de Reaver V2 (à 2m10). La preview de Doom of Molech est intéressante à plus d'un titre : si l'on voit apparaître des aménagements de règles pour jouer des formations de Chevaliers (Taille 3), on imagine bien qu'elles seront aussi utilisables pour des formations de blindés (Taille 2 ?) et d'infanterie (Taille 1 ?) ! Pas de quoi faire revenir Epic officiellement (AT reste un jeu d'escarmouche) mais c'est déjà un premier pas (et le matos pourra être recyclé à Epic Armageddon ! ). You won’t have long to wait for all this – it’s up for pre-order next weekend! 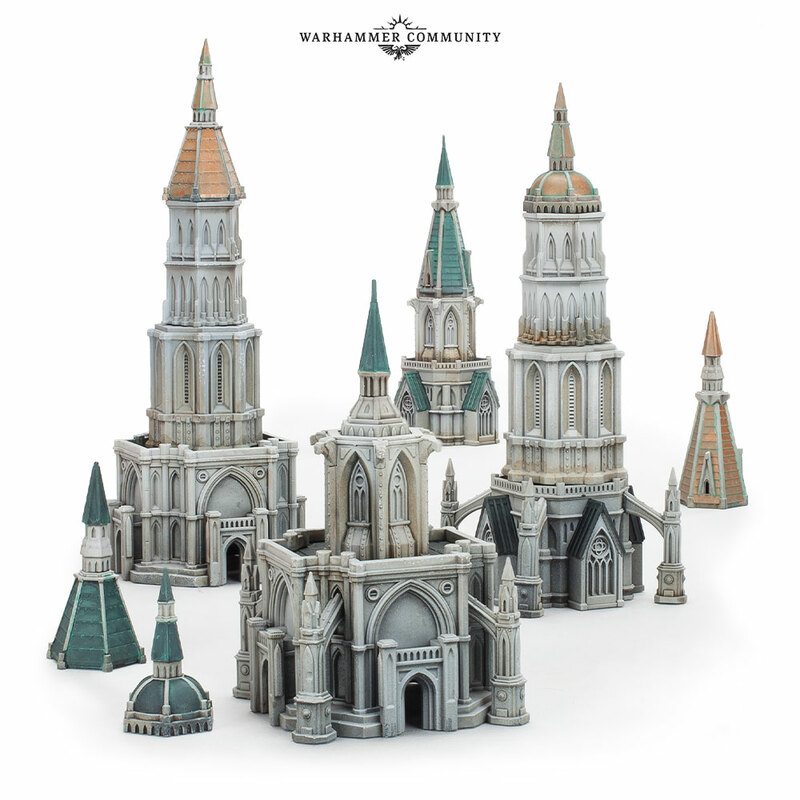 Les spires sont vraiment un ajout indispensable pour donner un peu plus de caractère aux décors déjà disponibles que je trouvais un poil trop cubique à mon goût ! Et déjà un deuxième supplément de campagne ! On est vraiment gâtés quand même quand on considère qu'AT n'est qu'un "petit" jeu dans la gamme. Le jeu a l'air de très bien marcher d'après les retours de GW donc je pense on peut avoir bon espoir pour l'avenir à moyen terme ! Il y a quelques semaines on annonçait en effet un calendrier de sorties rempli pour 2 ans. Et cela en se concentrant uniquement sur l'HH et l'affrontement entre traîtres et loyalistes. Mais a quand les Warbringers ?? En tout cas c'est claire que ça va vite les suppléments ! Mais a quand les Warbringers ﻿?? Si mes souvenirs sont bons ils ne sont pas prévus avant la fin de la période des deux ans, faudra t'armer de patience. What is the Battle of Molech? 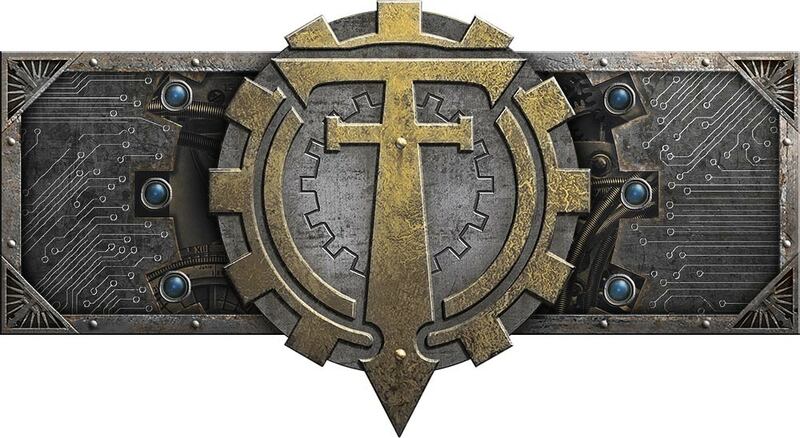 The new Adeptus Titanicus expansion, Doom of Molech, is on its way – and today we’re taking a look at the Battle of Molech itself. “One of the most horrific betrayals of the war occurred on the planet of Molech. Three Titan Legions and over a hundred Imperial Guard* regiments and Knight Households stood ready to bear the brunt of the Warmaster’s attack. When it came, it was like a hurricane unleashed upon the lush world. Horus’ initial assault devastated many cities and strongholds. Amongst the victims were Molech’s rulers, House Devine. Dispossessed and unable to fight back, the Devine slowly succumbed to the temptations of Chaos. Over the following months, the insidious whisper of Slaanesh spread through their depleted ranks. House Devine are key players in the story of the battle, with their treachery turning the tide just as that initial narrative suggested – but their fall began decades before with Raeven Devine, a young scion of the house whose unfettered ambition and questionable life choices primed him for a fall to Chaos. Years later, as the battle began, Raeven seized his birthright, murdering the head of the House and taking his place even as Horus himself took to the battlefield, leading his sons into battle against massed ranks of Imperial Army troopers and single-handedly taking on a force of mighty Imperial Knights – of which only Raeven Devine himself escaped alive. With a beachhead secured, the Traitor forces arrived in great numbers, with four Titan Legions and elements from the Sons of Horus, Death Guard and Emperor’s Children – including their Primarchs – leading the charge. Mortarion and Fulgrim both had their missions across Molech, each key to taking the embattled world from the Imperium. Far to the east, Mortarion fell on the city of Ophir, before unleashing the Life-eater Virus on the jungles of Kush in an early example of the plague warfare for which the Death Guard would become infamous. He then marched on the Preceptor defence line and took it with the aid of Traitor Titans. You can play part of this battle with one of the scenarios in Doom of Molech, which pits a force of Traitor Titans against an army of Knights as the heroic Lord Bolmar of House Donar makes a desperate last stand. Fulgrim’s task was much more insidious – he used his Slaanesh-granted daemonic powers to ensnare Raeven Devine and complete the corruption that had begun decades before. 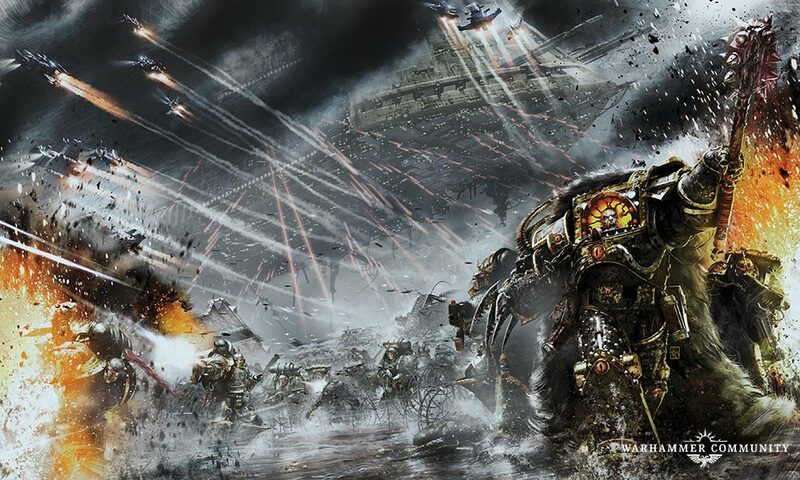 As the Primarchs completed their tasks, the Sons of Horus and their allies pushed into the heart of Molech. The Knight Houses led the defence, rallying Imperial Army regiments, small forces of Ultramarines, Blood Angels and loyal Titan Legions to face the rampaging Chaos forces. Little by little, they were pushed back, the overwhelming strength of the Warmaster’s armies making it only a matter of time until they were overrun completely. Finally, all of Horus’ forces converged upon Lupercalia, the capital of Molech, ironically named for Horus himself after his pivotal role in bringing Molech to compliance during the Great Crusade. The first turning point in this fierce battle was the destruction of the Iron Fist, the great mountain on Lupercalia’s west flank. Horus managed to destroy this home of the world’s Titan Legions in a single blow as he redirected an orbital defence laser to destroy the peak. 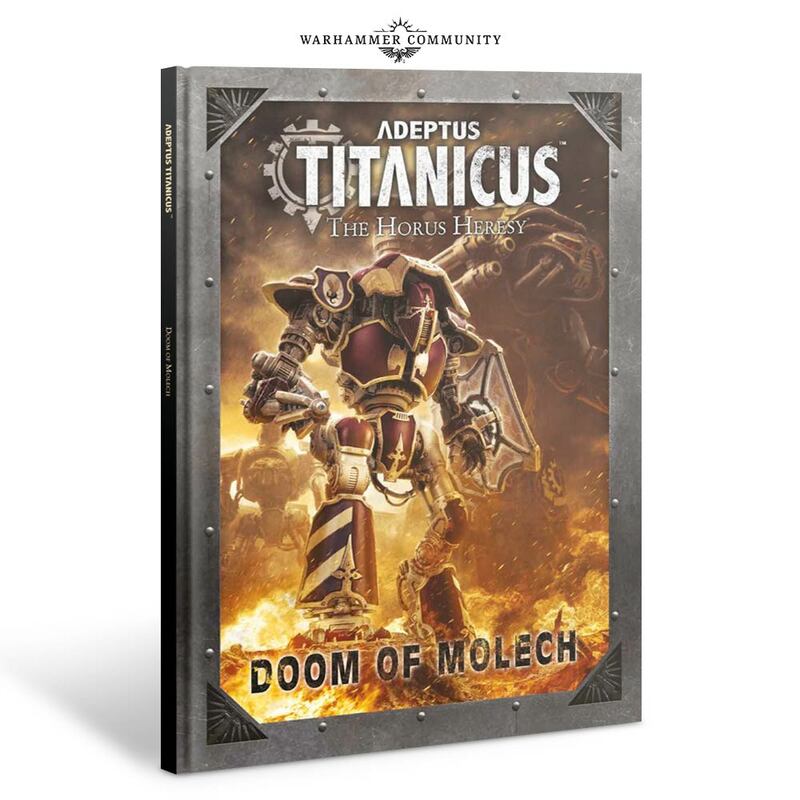 You’ll be able to play many of the battles from the war for Molech in the new Adeptus Titanicus campaign book Doom of Molech, which you can pre-order this weekend. To get a closer look at the battle itself, check out Graham McNeill’s novel Vengeful Spirit, which reveals all… including exactly what Horus was doing as Lupercalia burned. 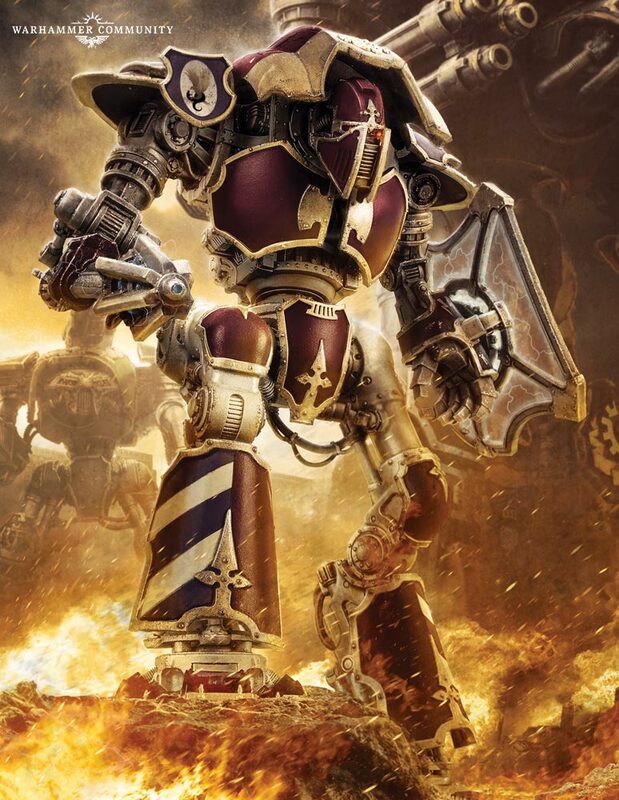 Download the eBook now and get reading, or listen while you paint Titans and Knights with the MP3 audiobook. * Back in 1995, the distinction between the Heresy-era Imperial Army and the later Astra Militarum hadn’t yet been made. 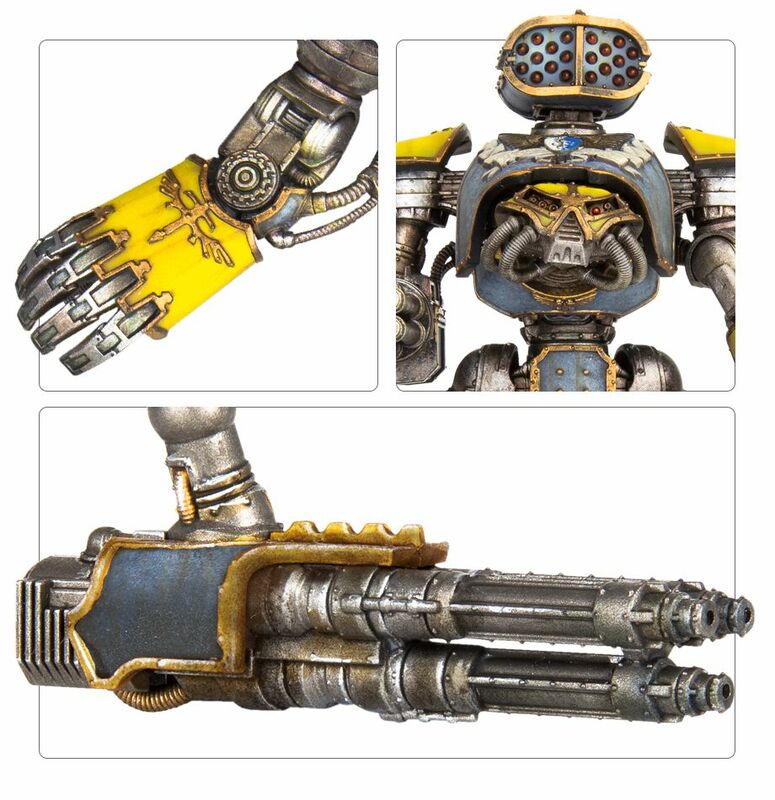 De son côté Forge World a lancé les pré-commandes sur 2 armes de Warlord : Macro Gatling Blaster et Quake Cannon. 18€ l'unité ! J'ai une vrais question sur ces armes (dans le sens que ce n'est pas un troll) Est-ce réellement utile (hors le côté collection) ? Je veux dire est-ce vraiment utile pour le jeu d'avoir accès à pléthore d'arme, sont elles vraiment différentes les unes des autres? Mis à part mêlée VS tir bien sur. Oui, oui, elles le sont. Le Quake Cannon peut ralentir les titans ennemis et même les faire changer d'orientation, en plus des dégâts. Rien que ça, c'est tactiquement intéressant. Le Macro Gatling Blaster quant à lui fiabilise ses tirs en permettant de relancer les jets pour toucher. C'est une arme de saturation de boucliers / destruction de knights ennemis. Maintenant, ce n'est pas forcément optimisé, mais elles ont bien chacun leur rôle. Quant au prix...c'est Forgeworld. Cela ne me surprend guère. 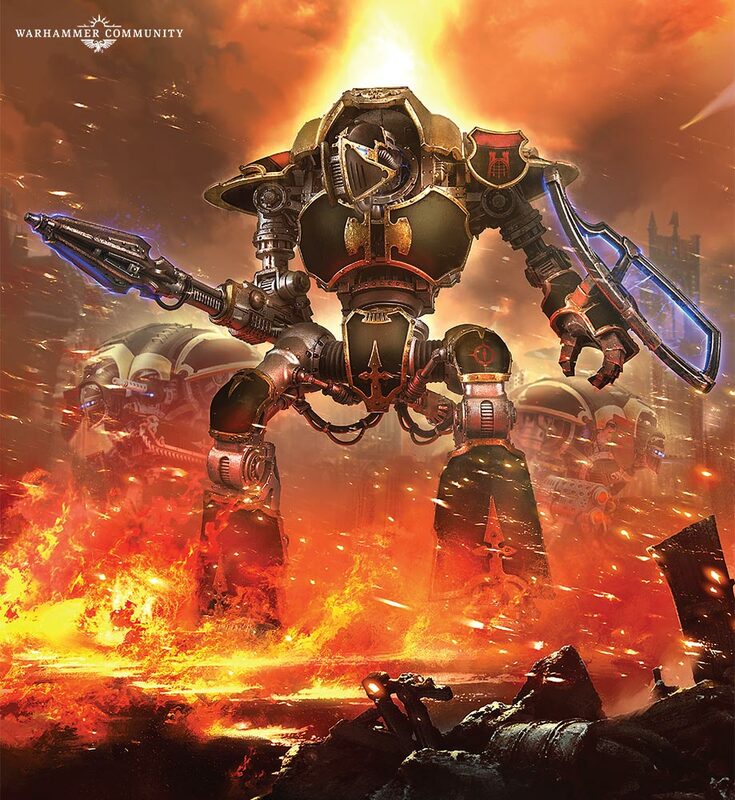 Et oui, je pense qu'on a tout intérêt à faire des conversions à partir de bitz plastiques 40k/Adeptus Titanicus. La gatling blaster, c'est franchement un canon d'assaut attaché à un bras de titan. 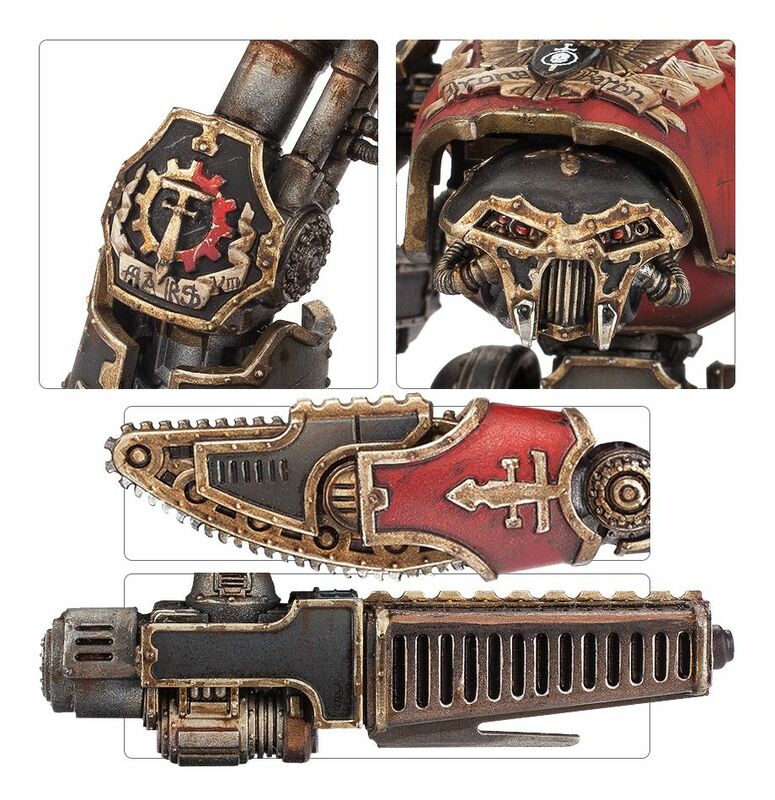 Le Quake Cannon, je le bidouillerais plutôt à partir d'un canon volcano en utilisant le canon d'une autre arme 40k au look similaire. L'intérêt de cette sortie, c'est de donner le visuel officiel pour qu'on s'en rapproche le plus avec nos conversions. 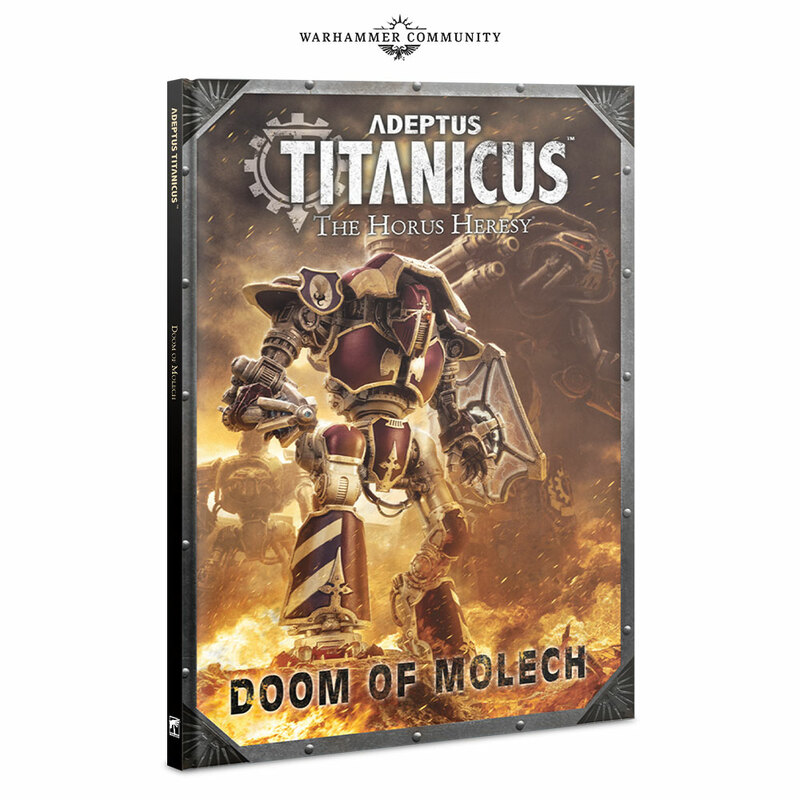 Totalement "noobs", moi et mon partenaire de jeux aimerions se lancer dans Adeptus titanicus et le fait que GW repropose la Grand Master Edition semble un moment propice pour ce faire! Financièrement malgré son prix exorbitant, elle semble rester intéressante à condition de se partager le rulebook. Mais qu'en est-il du contenu en chevaliers? Car, depuis la sortie initiale, quelques boîtes sont sorties et permettent de constituer d'autres "équipes" que les Warlords et knights de la GME. Idem pour les décors! Donc, comme nous ne connaissons pas encore les règles, est-il mieux de piocher dans les boîtes dispos séparément? tant pour les "knights" que pour les décors? et si oui, quoi prendre en priorité? Vous qui connaissez déjà bien le jeu, pouvez-vous me conseiller? Je serai à ta place j'irai vers un(deux) bundle titanicus battlegroup chez nos amis Polonais ainsi que le kit règles pour avoir les dés ! Jeux :Warhammer 40000, Orks, Tau, Blood Angels, Salamanders et Eldar Noir... Plus deux trois bricoles. Et j’ai trouvé votre fantrad sur epic-fr, merci infiniment à vous, @clarifiome, @latribuneludique, @hénuel et les autres. Amis polonais??? si ce sont des "recasters", je fais l'impasse, ne m'en veux pas. Je suis toujours avide de gratter un peu de sous en passant par les revendeurs anglais par contre. (je n'ai plus de revendeur local depuis cette année hélas!). En Pologne tu peux topper du -30% à -40% c'est mieux que L'UK(150€ la boite Titanicus), je prend tout la bas perso...Et tous les potes qui ont pris la boite de base, sont parti acheter du warhound/reaver après...Donc ouais je partirai plutôt sur la box battlegroup qui est uber intéressant. Payes toujours en zloty car parfois les prix euros sont "taxés" > non converti selon le change actuel.